In a small mountain rage, at whose feet we can find Mota del Cuervo, seven windmills raise vigilant. 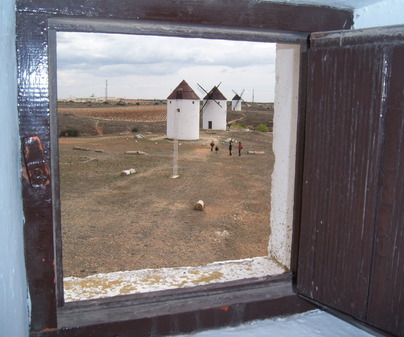 The whole of this whole place stands out due to its harmony and beuty, in 1967 receives the geotouristic name of “Balcony of La Mancha”, due to the immense horizon which is comtemplated from here from which you can contemplate spectacular sunsets. 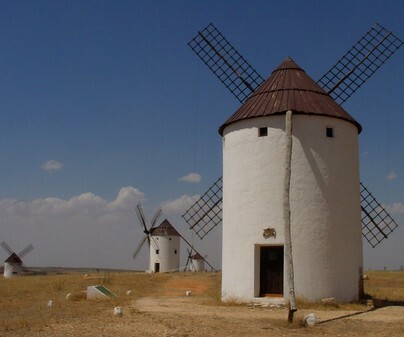 Immortalized by Miguel de Cervantes in his masterpiece Don Quixote, they are a symbol of these flat lands of Castilla La Mancha. Cylindrical in shape, they have three floors: the stable or ground floor with a spiral staircase which gives access to the cabin or first floor and the top floor which contained the machinery and the small windows through which the wind enters, the only motor which activates a whole gear of around 100 pieces. The windows show us the dominating wind and the blades make the gigantic scoop wheel spin to move the stone which transforms wheat into flour. 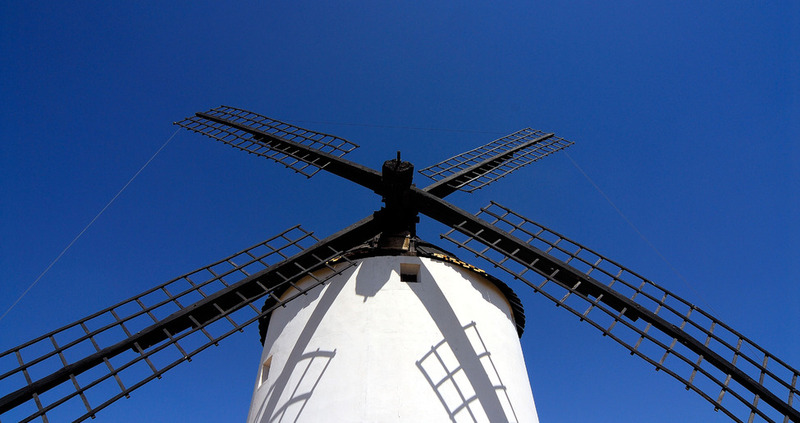 You can visit three of these windmills. Furthermore, on Sunday the traditional milling is carried out in the “El Gigante” mill, which nowadays is also the Tourist Information Office. 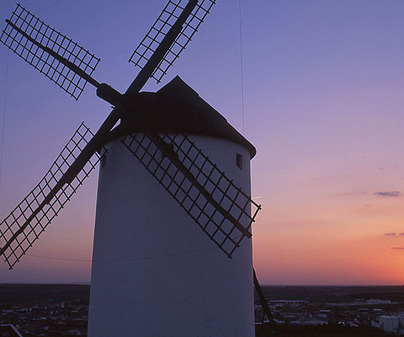 From 10.00 a.m. to 1.30 p.m. the sound, smell and spectacle that this giant of La Mancha offers can be enjoyed again. 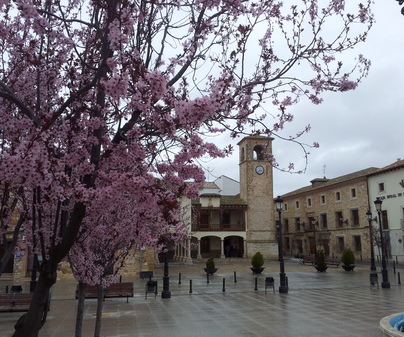 In "El Goethe" people can enjoy pottery craftwork, very important in this municipality, because a small potter’s wokshop has been set up and a museum of La Mancha in “El Piqueras”. Tourist Information Office Tel. : 967.180.619/697.733.683. From Tuesday to Sunday from 10:00 a.m to 2:00 p.m. and from Tuesday to Saturday from 4.00 p.m to 6.00 p.m in winter, and from 4.00 p.m to 8.00 p.m in summer (the time change coincides with the adjustment of clocks forward and backward in March and October). Access N- 420 N-301 AP-36.